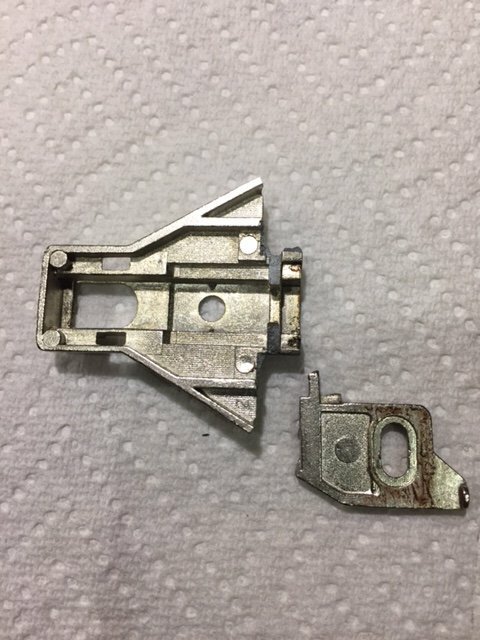 Our Washer Dryer Bi Fold Door top hinge broke on our last move to Tampa. 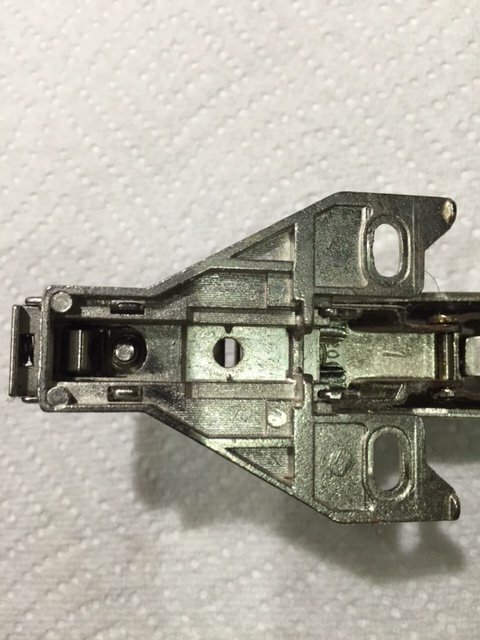 I found replacement hinges on the web and ordered some to replace them. Received the new hinges for the Washer / Dryer Closet Bi Fold Door. Got them installed this morning, replaced all 3 hinges so there would not be any compatibility issues due to the hinges I bought are a different brand. 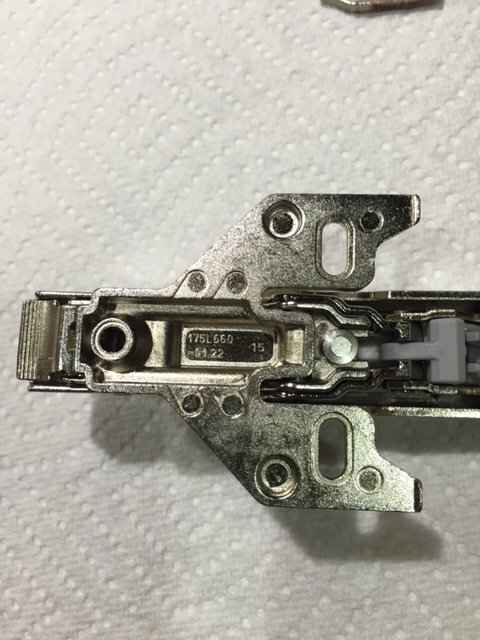 The replacement hinges are the same type of hinge but from a different manufacturer. As you can tell from the pictures below, the mounting that broke on the factory installed hinges is pretty weak, the new hinge mounting looks to be much stronger. This is one of those times that spending the $30 for new / better hinges instead of going through the hassle dealing with warranty was probably the right move. We had the same problem, when we were at the rally last year we got a whole new set and I installed them there. I also put a snap latch on that door. Redwood uses this latch on some doors. it is a plastic hook like thing that goes into a snap receiver. works great. 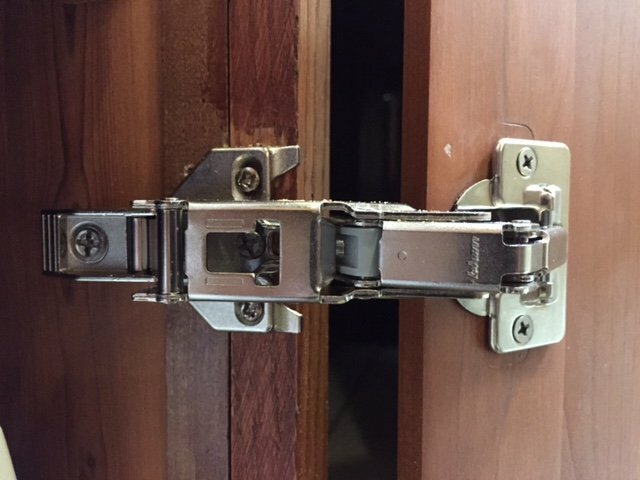 I replaced the latches on the Washer / Dryer Bi-Fold Door as they broke fairly quickly and the Plastic latch on the pantry door failed on the way to Texas a few months ago, replaced it with a different type of latch, so far we are good. I've been thinking of removing our doors. When we're parked for the winter we use the washer at least every other day, so the doors stay open the full time. The only time they get closed is during travel, and with them being in the bathroom in the nose of the RW you don't even see them unless you're in the bathroom. Have the same issue. Have to close the doors to get into the closet. Wish I had a place to store the door during our winter stay in AZ. Wrap them up & store behind the couch, ours has lots of space behind it.